RV Camping to Cactus League Spring Training! We’ve really got baseball on our minds here at El Monte RV, and we’re hearing from lots of clients about their need to see a game. Fortunately, the month of March offers RV campers the chance to several major league teams in action in Arizona. Why not hit one out of the park in March by planning an RV trip to see Cactus League spring training games? Eleven Arizona stadiums host fifteen major league teams for Cactus League spring training baseball games. Whether they’re in Greater Phoenix or located in Tucson, these venues work hard to provide both the perfect training facilities and exciting major league action for the fans. We’ve put together a quick list of teams and stadiums, to make your planning a little easier. You can also check out these two websites to stay on the ball about schedules, stadiums and teams: CactusLeague.com, and SpringTrainingOnline.com. Once you’ve chosen the games you’d like to watch, start planning the perfect RV trek to spring training. Let’s look at some of the terrific RV campgrounds close to Cactus League stadiums. We’ve heard rave reviews about Arizona Cowboy RV Park in Mesa, so why not plan to catch at least one Cubs game and camp in a peaceful country setting? Another park close to Cactus League action is Apache Palms RV Park in Tempe. On the outskirts of Tucson, you’ll find picturesque Amado, AZ, home of DeAnza RV Resort. Enjoy the best in RV camping while catching the Diamondbacks and Rockies in action. So, what are you waiting for? Spring training games in the Cactus League are a great way to see several major league baseball teams play within a one hundred mile radius. The friendly folks at our Phoenix RV Rentals location are ready to help you pick the right RV rental for your trip. Isn’t it time for you to head for Arizona? This entry was posted in Arizona RV Camping Vacation, RV Vacation Ideas and tagged AZ RV Camping, AZ RV Vacation. Bookmark the permalink. 12 Responses to RV Camping to Cactus League Spring Training! What is the nearest and best RV resort for pets near the Camelback facility? McDowell Mountain Regional Park appears to be the closest RV park that allows pets. 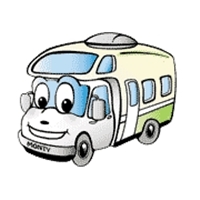 What is the nearest rv camp ground near maryvale park? The nearest rv campground near Maryvale Park appears to be Covered Wagon RV Park. What is the closest RV Park to Scottsdale Stadium for the Giants Spring Training ? I am going to see a game in Peoria and I am driving my RV up there. Where can I camp/park my RV without paying that is close to the Peoria Sports Complex? Obviously I will be self contained. If you check out this site: http://www.allstays.com/c/walmart-arizona-locations.htm you will see that there appears to be a Wal-Mart that allows free overnight parking. The store information listed says it has: Garden Center, Grocery, McDonalds, Open 24 hrs, Pharmacy. We hope you have a great time at the game!